Residential students will make their meal plan selection as part of their on-line housing application. Commuter students will make their meal plan selections through MyHousing and selecting the dining tab. Please go to MyHousing if you have not completed this application. The charge for the meal plan will be added to your University Bursar account. If adding or upgrading a meal plan after the due date, payment should be made immediately via Banner Self-Service. NOTE: The Spring 2019 term deadline to reduce or cancel a meal plan for residential students as well as those living in apartments and commuters is Sunday, February 3, 2019 by 10pm. After this date and time, students will only be permitted to increase or purchase new plans. Residents who reside in apartment style housing or commuters may purchase any additional block plans throughout the semester. 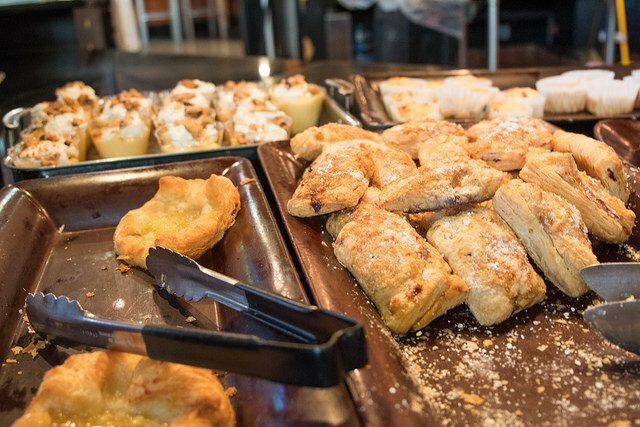 Gourmet Dining oversees all dining options throughout campus. For a complete list of dining options available, please visit Gourmet Dining.